The sectorial association, AFM, has launched a new call for the National Award to Innovation in Advanced Manufacturing Technology, the twelfth, which will reward innovation in machine-tools, components, accessories and tools, as well as those related to additive manufacturing and the integration of 4.0 concepts, fields that give rise to the two new categories. To participate in the awards, the innovations, in addition to being assessed by a jury of experts, must be displayed at the 29 BIEMH that is going to be held in Bilbao from 30 May to 4 June. Based on a real and constant commitment to innovation by AFM, the aim is to reward the most outstanding companies this year in terms of their contribution to innovation in advanced manufacturing, including the new technologies that have strongly burst onto the stage of industrial production, such as additive manufacturing or 3D, and the integration of 4.0 solutions. Three award modalities are considered: award to innovation in machine-tools, components, accessories and tools, award to innovation in additive manufacturing or 3D, and award to innovation in integration of 4.0 concepts into advanced manufacturing systems. Companies interested in participating must present their innovations at the 29 BIEMH that will take place in Bilbao from 30 May to 4 June, where they will be assessed by the members of the jury and where the awards will be presented.The jury’s evaluation will be based on innovation and technology criteria, but they will also take into account aspects related to design, ergonomics, safety and sustainability. During the last edition, held in 2014, the winners of the award in the categories of Machine-tools and Components, were Ona Electroerosion and Zayer, respectively. 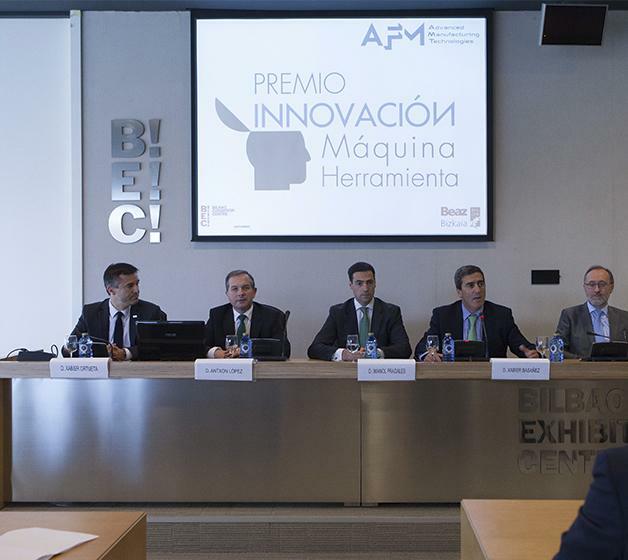 Since its launch in 1992, the Regional Council of the Basque Country, through DZ, currently BEAZ, has collaborated with AFM and BEC (Bilbao Exhibition Centre) in the organisation of the awards.